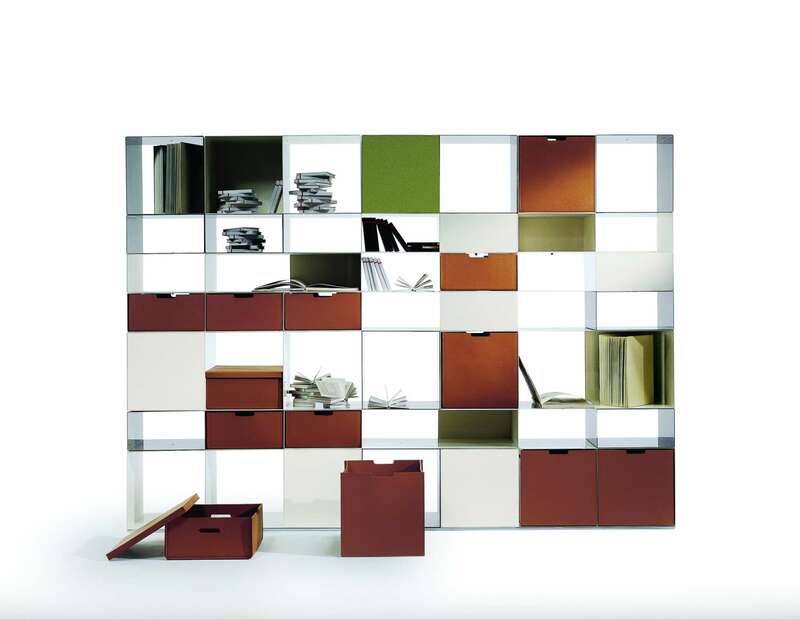 INFINITY is a bookcase/storage system in enameled metal, composed of a few closed and freely stackable modules fastened together by a simple, invisible steel bolt. The units give rise to infinite compositional possibilities, generating an always varied checkerboard of empty and full segments. Elegant and essential, for extreme personalization.